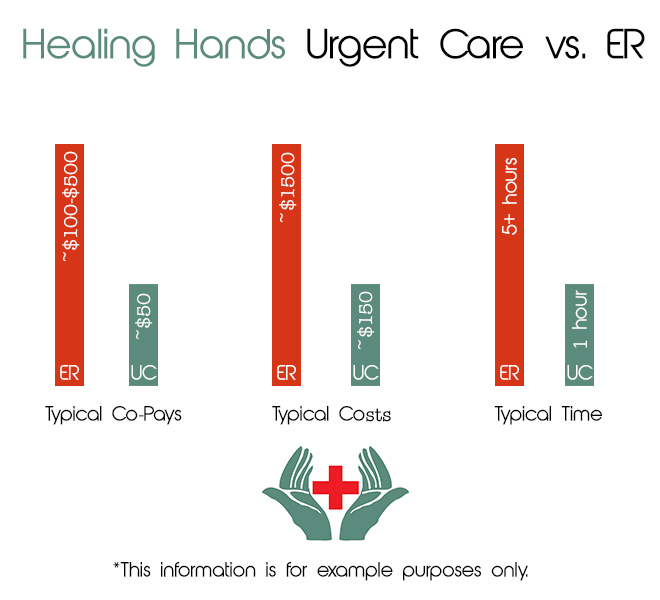 Healing Hands Urgent Care serves as a bridge between your primary care physician and other levels of healthcare. We are the connecting bridge between your family physician and specialists such as surgeons, neurologists, and cardiologists, especially when your primary care doctor is not available or overbooked with appointments. When you would normally think of the ER for your child's asthma, your cousin's broken toe, or your own ear ache, Healing Hands Urgent Care is there for you.